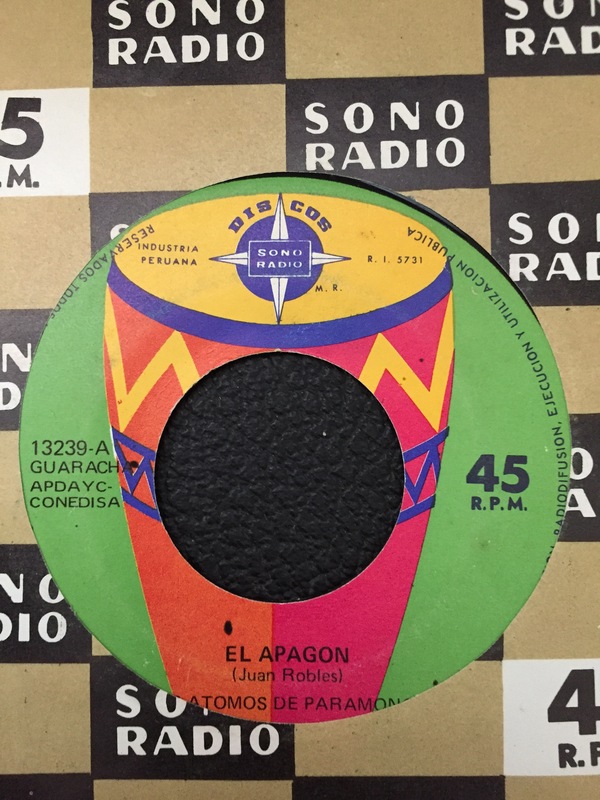 El Apagon (The Blackout) starts out with a nice descending riff before the band explodes in a catchy wah-wah driven melody. The song has a nice breakdown in the middle before re-invoking its main theme. The song’s title is also of historical interest, I can’t be sure if it’s referring to blackouts caused by weak power infrastructure, earthquakes, or by roving bands of Sendero Luminoso rebels, of which one tactic of theirs was to destroy power infrastructure. The B-side Pa’ Oriente Me Voy is a very nice tune, with some swept fuzz guitar lines recalling a western film, until the fire melody begins to pulsate against the sharp congas. Highly recommended.